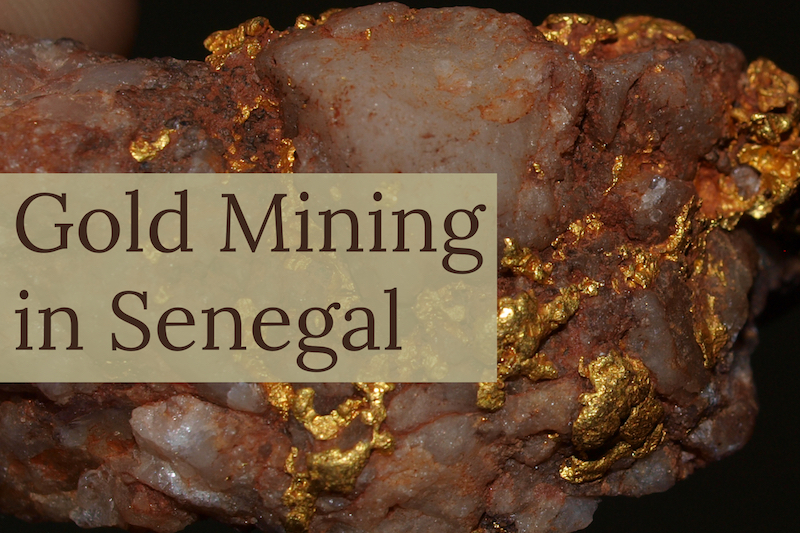 Senegal is an important gold producing country in West Africa. Most of the country’s gold is found in the Senegal-Mali Structural Corridor. Due to its huge potential as a gold producer, the country has in the recent past attracted international gold mining firms that have obtained gold exploration licenses and are currently exploring several different regions in the country for gold. One such company is the Randgold Resources, which has gold exploration permits for Tomboronkoto, Kanoumering, and Kounemba covering a total of 1200km2. Major gold prospects can be found on the Birimian gold belt, which despite being one of the world’s largest gold belts, it still largely unexplored. Artisanal gold mining has been practiced in parts the country, particularly the southeastern region, from ancient times. The 1970s brought about the country’s major gold rush, which was characterized by increased informal gold mining and land degradation due to increased gold exploration in many places within the country. The largest gold deposit in the country was discovered in Diabougou village in eastern Senegal in 2006. This marked the turning point in the country’s gold mining sector. Following this gold discovery many gold mining firms in West Africa are have been seeking to set foot in the country. Today Senegal boasts of several gold projects with the majority of this still in the exploration stage. Mako project is an important gold project located in the eastern part of Senegal within the “Kenieba Window” geological unit. The gold project is owned and operated by Toro Gold Ltd. The project is made up of the Mako exploration permit which covers about 150km2. Exploration activities on this project began in 2010 with the initial geological mapping. Several further exploration activities have been done on the project, and these include a scoping study done in 2013, an initial feasibility study done in 2014, and a final feasibility study done in 2015. Gold has been found been reported in several places, but further studies are still ongoing and new discoveries are likely to be made in the coming years. The Sobodala Gold project is made up of two gold deposits, Niakafiri, and Sabodala on a 20km2 mining concession. The project is located in the eastern region about 650 km from Dakar, the capital city of Senegal. The project is a joint venture between the government of Senegal and the Sabodala Gold Operations Limited with the government owning 10% while the SGO owns the rest. The two gold deposits sit on the Mako Mafic Volcanic Belt in the West Birimian province. Sabodala gold deposit is set on a small volcanic hill whose mineralization is associated with quartz, orange-coloured silica-albite-carbonate-pyrite and ankerite/siderite veining alteration. The Niakafiri deposit, on the other hand, is described as a westerly-dipping shear-hosted mineralised system. These two gold sources average grade is 2.39g/t. the mine development began in 2008 and it is estimated that it will produce about 150,000oz of gold per year. The Boto Gold project is wholly owned by IAMGOLD Corporation. The projects sit on a 236 square kilometer block on the border of Senegal and Mali. Studies have indicated that the project has about 1.23 million ounces of gold at an average grade of 1.68 g/t. Most of this gold is at the Malikoundi deposit which is the largest gold deposit of the project. A further 635,000 ounces of gold resources at an average grading of 1.80 g/t has also been found on the project. Plans are underway to complete a 50m by 50m infill delineation campaign at the Malikoundi deposits with the aim of updating the minerals resources at the site before mining is commenced.